Getting started with any FSM (Field Service Management) solution is going to require a shift in the way you think about your business and the way you operate. More importantly, it is going to require that your entire team be on board. Most new buyers of FSM software find it hard to grasp the fact that what worked in the past might not be what works best in the future. You and your entire team must keep an open mind that there will be some process changes. These changes are for the better though. So how do you navigate through these process changes? How do you know what is best moving forward when all you know is the past? 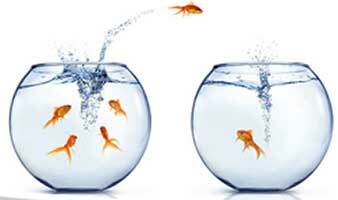 The software vendor you choose should be well-equipped to help you manage the migration. In recent years, the best vendors have realized the importance of establishing a Customer Success Department. This department is solely responsible for helping your team and you get migrated onto their system seamlessly. They generally handle tasks such as data migration if applicable, setting and training your team, and ensuring that you have access to ongoing support. The benefits of using service scheduling software are vast. The primary benefits include getting more organized, managing your business more effectively, winning more jobs and growing your business. This is simply how technology empowers small to medium-sized businesses. Most packages today come with a comprehensive suite of tools to help you get the job done. 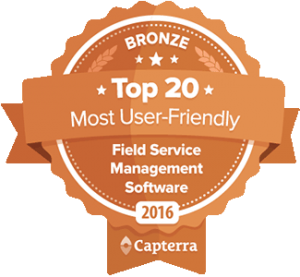 Below we’ll go over the most common benefits of using field service software. Grow Your Business – Technology is an enabler. By design, technology is designed to help its end-user become more efficient and effective. In business, the side-effect is business growth. Deliver Better Service – Customers love when you can quickly get them scheduled. They also love when you show up on time, provide status updates, deliver accurate estimates, give them convenient payment options and make it easy to request your services. Get Better Organized – Software helps you make sense of all the noise that comes with running a service-based business. Instead of reaching in 10 different directions and fumbling through dozens of pieces of papers, software consolidates all that into a system that simplifies everything. Automation – A good FSM solution will help you automate many back office tasks such as scheduling, invoicing, dispatching and more. Instead of doing things by paper or even a legacy system, it will help you speed up these tasks. Reduce Costs – One of the greatest benefits of using a FSM solution is that it will save you costs in areas like overhead, fuel and missed opportunities. Schedule optimization, routing and electronic forms are features that can really drive down your costs. Technology can be scary and the urge to revert to the old ways is all too common. The truth is, nobody likes change and migrating to technology really takes discipline. There’s always going to be that one employee or field worker that constantly complains about why the new technology isn’t working. Someone’s always going to resist the change. It could even be you! The most important thing to keep in mind is that once you get past the initial hurdle, your effort will pay off in the long run. Technology, by nature, is meant to help you move forward, not backwards. So when you get the urge to quit and throw in the towel, take a deep breath and remember that it will all be well worth it.